Please do not email CV’s for this position. You must use the application form to apply. Thanks! We are looking for an Early Childhood Development (ECD) Educator who will be responsible for advising on content created to educate young learners on pre-literacy, pre-numeracy, motor skills development, English and Kiswahili language skills as well as integrate these learnings into the production process at Ubongo Learning. We’re looking for a STEM (Science Technology Engineering and Mathematics) Educator to work with us full time, ensuring educational quality of our STEM content, including animated episodes, radio programs, eBooks and digital apps. You will set learning objectives for content, then work closely with our production team through each stage of the production process, from outlining and storyboarding, through to final animation, to ensure that we’re creating the best learning content possible. You’ll also work with our research team to continually test and improve our content, teaching style and interaction with kids. for our two shows. You must be be fluent in kiswahili, and a good grasp of english is an added bonus. A background in the performing arts (acting, singing and dancing) is a considerable advantage when directing our young aspiring voice actors. Email CV’s to christina@ubongo.co.tz or come to our office. Thanks! We’re looking for a full time PRODUCT MANAGER for Ubongo’s mobile apps, mobile services, and other upcoming mobile and digital products. Please apply ONLY using our online form. Emailed CV’s and cover letters will not be accepted. Thank you! who takes initiative, questions the status quo and is willing to support the finance team as needed. He or She must be flexible and willing to learn new things. 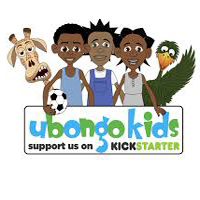 Ubongo is a fast growing company that is innovative and open to change. Apply if you like a good challenge! We’re looking for a dynamic, experienced and detail-oriented Head of Operations to improve our in-country processes, systems and culture in preparation for multi-country scaling… and grow with us as we grow! You’ll work closely with our CEO and COO to manage operations in Tanzania (and eventually across countries) as we scale our organization and edutainment to reach millions more kids in Africa.